Kick-Off with Siri Hustvedt and Carl Djerassi | GRK "Life Sciences - Life Writing"
The Austrian-American chemist and novelist was a guest of the graduate program on the occasion of the official opening event in June 2014. 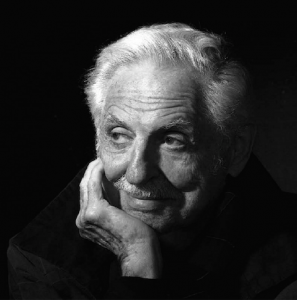 Dr. Djerassi combines both life sciences and life writing. In his long and outstanding research career as a chemist, he contributed to the development of birth control. As a writer of numerous novels and plays, he has coined the term “science-in-fiction.” After his lecture on his most recent autobiography Der Schattensammler, he was awarded an honorary doctorate of Johannes Gutenberg University Mainz. The American novelist and essayist has devoted much of her recent work on the interconnection of life sciences and life writing. 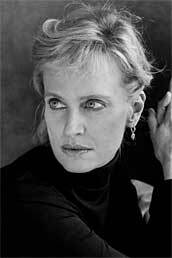 In her autobiographical essay The Shaking Woman: A History of My Nerves, Dr. Hustvedt explores her own mysterious illness of uncontrollable shaking from multiple perspectives and disciplines, encompassing, among others, neurobiology, psychoanalysis, cultural studies, history and philosophy. In her lecture during the offical opening event in June 2014, she read from her most recent novel The Blazing World. Klick here for the download of the Flyer and the official Invitation for the Kick-off event.